A 35-year-old man who killed his partner has been sentenced to an indefinite hospital order. Gary Fletcher, of Wilton Street, Burnley, admitted the manslaughter of Nicola Haworth, 33, on 22 July 2016, at Preston Crown Court on Monday. He was arrested for holding a large knife in a street and told officers he killed his partner, said police. Ms Haworth's body was found in a cupboard at their home, hidden under a quilt, with her feet and hands bound. She also had a bin liner over her head. A post-mortem examination found the cause of death was asphyxiation. 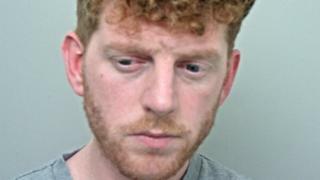 A Lancashire Police spokesman said while Fletcher was arrested on suspicion of murder, doctors agreed he was suffering with mental health-related illnesses at the time of the offence and had diminished responsibility. Det Ch Insp Joanne McHugh, said: "While we may never know the full circumstances which led to Nicola Haworth's death, Gary Fletcher's actions were cold, callous and cruel." Robert Haworth, Nicola's brother, said: "Nicola Joanne was a very good person. Not just a sister but a mother and aunty. "He has taken away my best friend, sister and role model to a lot of people who cared for her dearly."